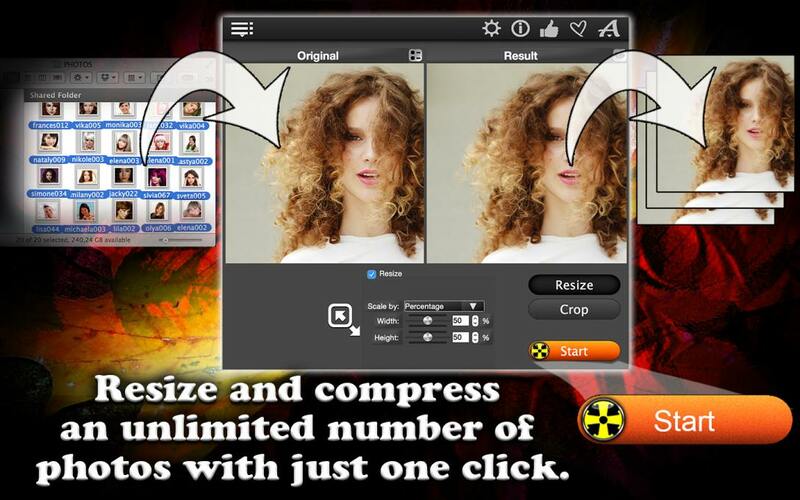 Resize unlimited number of photos! Do you have lots of digital images taking up precious memory on your computer? Total Resizer can help! It will help you reduce the photo sizes, change picture resolution and picture quality. Its image converter will convert your digital images into the format you need for your personal or business use, like social media posts, pictures for your blogs or websites. 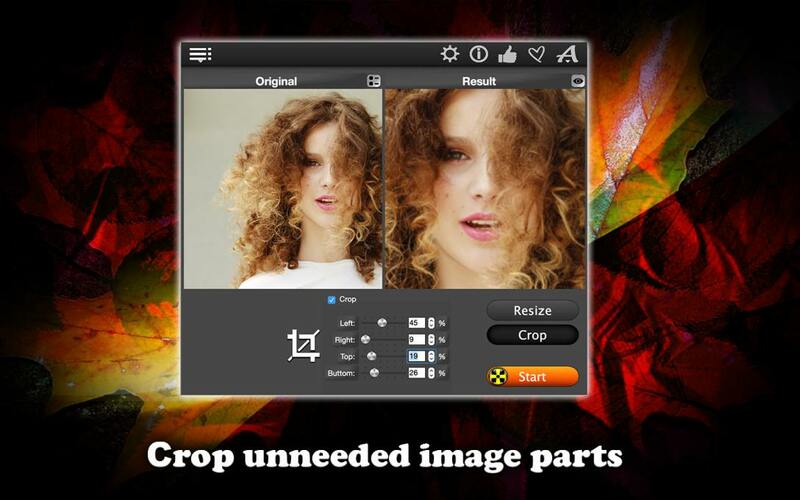 The Crop function lets you fix pictures by cropping unneeded parts. Access the digital images you want to resize and Drag&Drop them into the app window. Now, let’s use the photo resizer! Click Resize and resize photos either by Percentage or by Pixels. The function “Keep Aspect Ratio” is on by default. It maintains the proportions of your pictures. If you want to change the proportions, unselect it. 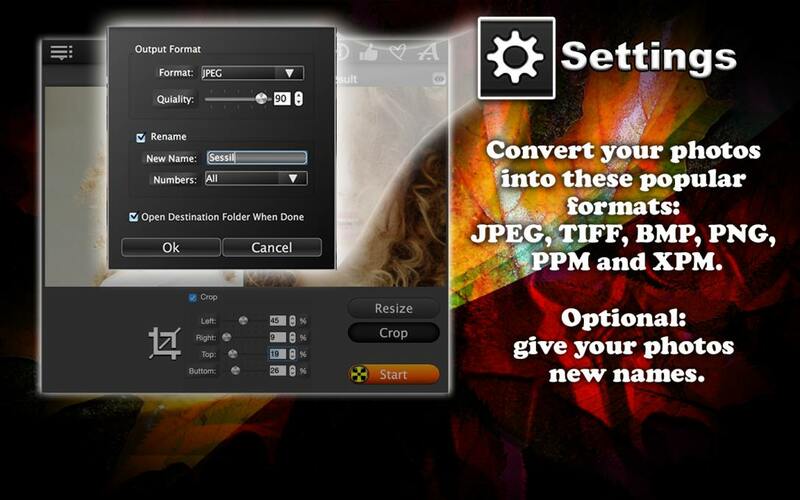 The photo cropping function lets you cut off unneeded parts of your picture. Just like with the photo resizer, you can do this by Percentage of by Pixels. You can preview the resulting images. 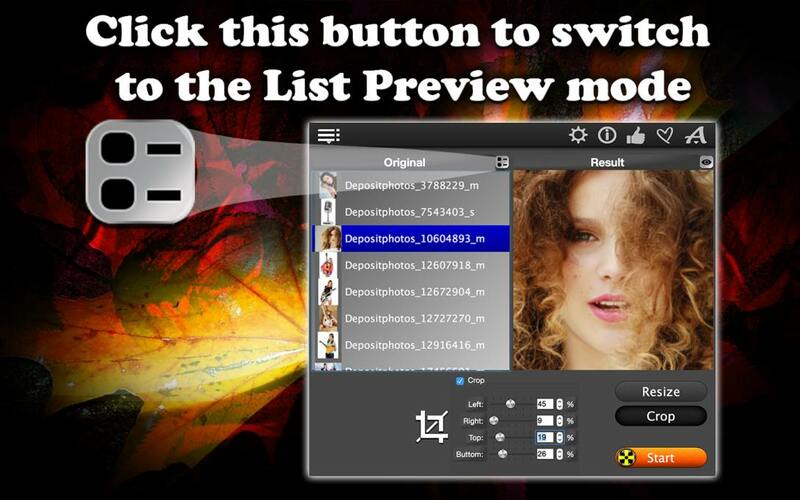 If you are happy with what you see in the preview window, click Settings and choose a format for your resized photos. In JPEG format, you can also select the quality of your pictures. The Settings also have an option for re-naming your pictures. All that is left to do is to push Start. When your digital images finish processing, the app will save them in a separate folder. 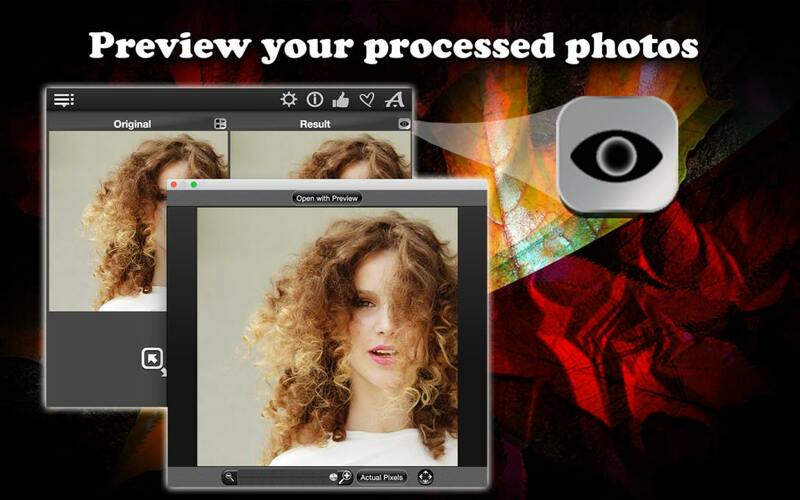 Total Resizer offers you a really easy way to free up some memory by compressing and resizing photos. Download it today!